Fiona's parents rush over to get a pumpkin. Fiona eventually squeezed in to get some too. Fiona (in the background) enjoyed showing off for the crowd. Not surprisingly, the pumpkins fit but some seeds and rind spilled out into the exhibit. The crowd oohed and aahed with smart phones in hand and squeezed in to get the perfect picture of the popular Hippopotamus amphibius family. Fiona continues to get thousands of views on The Fiona Show. The elephants were the first to try out the pumpkin fun. Schottzie, Mai-Thai and Jati rushed over and tore down a giant trick-or-treat bag and began stomping and eating pumpkins. This is the trick-or treat bag that the elephants tore down. It said "Trunk or Treat." A group of Highlands Middle School 8th graders studying journalism watched the animals. "I thought it was cool that they knew what to do. They knew that the pumpkins were able to get crushed. They knew that they could tear the big sign down," said Olivia Hoffman. Student Madeline Adams was equally excited saying, "I think it was pretty cool to smash the pumpkins into the ground and play with the stuff over there." While the elephants are excited now, will they continue to show the same enthusiasm throughout the month of October? Pumpkin smashes are every Saturday and Sunday at 2:00 p.m. and 4:00 p.m. Senior Keeper Val Nastold says he may have to sweeten the pot. "So, if you don't juice it up a little they'll smash it and they'll step aside and think, 'Oh, excuse me Val. I'm done with this. You may pick this up now.'" Nastold says it's the same as humans and pumpkins. We want the sugar and pumpkin pie. The pumpkins didn't last long in the elephant exhibit. They were smashed and eaten in no time. Will 'The Fiona Show' Crash The Internet? 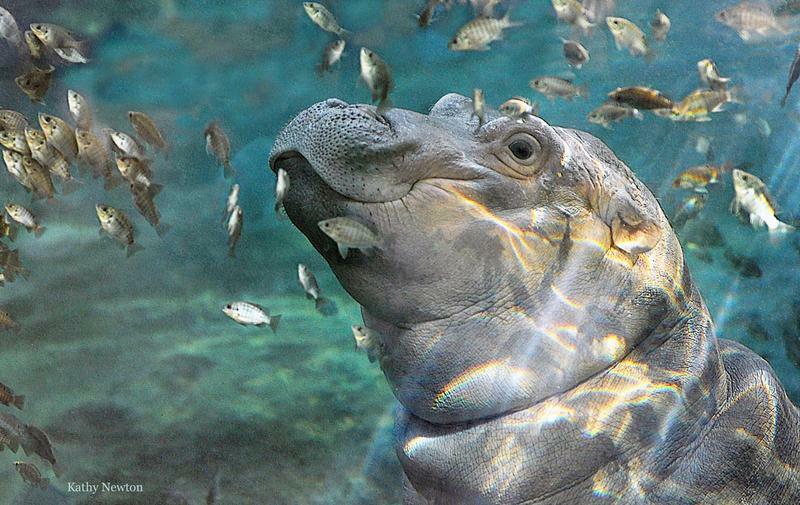 There's just no stopping the phenomenon that is Fiona the baby hippo. The Fiona Show debuts on Facebook's new Watch platform Tuesday around noon. The Cincinnati Zoo is thrilled that baby hippo Fiona, her mom Bibi and her dad Henry all got in the pool together for the first time Tuesday morning and bonded. And the zoo quickly posted the family picture on social media. “The introduction lasted about an hour, and we couldn’t be more pleased with how it went,” said Christina Gorsuch, curator of mammals at the Cincinnati Zoo. 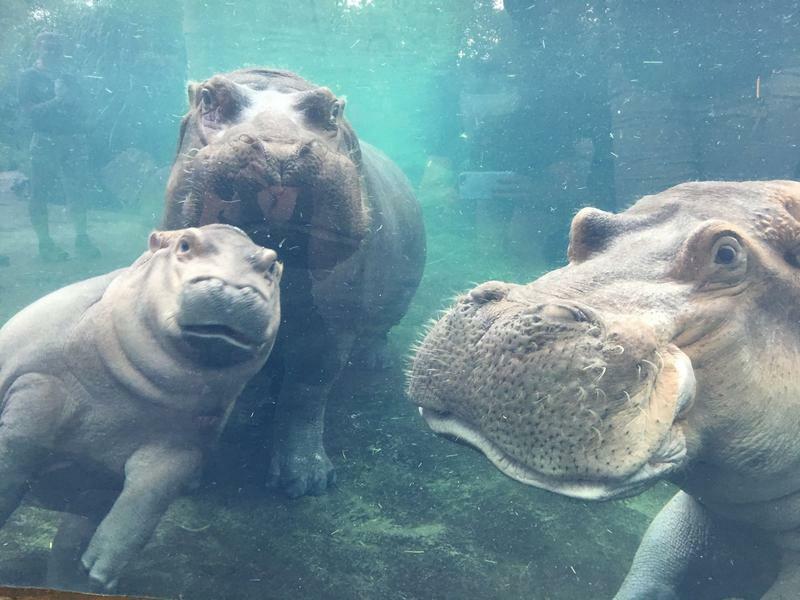 “Fiona has been exploring the outdoor habitat with her mom for several weeks and has had contact with Henry inside, but today was the first time that the three hippos have been together. "